Vietnam presents a compelling opportunity to reduce production costs, overcome talent shortages or find new customers. The time is now to take the next step for your business. Metasource offers simple direct advice to start your operations here in Vietnam. We’ll have your company or project running quickly and cost-effectively. Your business can enter the market in Vietnam in many different ways, including partnerships, acquisitions and new companies. Effective execution of your chosen market entry strategy will require planning and preparation. Read on for more about market entry in Vietnam! Foreign investment in Vietnam started with the Doi Moi reforms of the 1980s and gathered pace with Vietnam’s inclusion in the World Trade Organisation in 2007. Foreign investment is setting new records as Vietnam becomes a key emerging market. Consistent growth: Vietnam has been one of the world’s fastest growing economies for an extended period of time and has strong forecasts for the future. Vietnam’s GDP growth has averaged 6-8% per year and inflation is low. Stability: Vietnam has very high levels of social and political stability. Violence and unrest is rare and overall crime rates are low. Young population: Vietnam’s population of almost 100m people is overwhelmingly young, educated and motivated. Growing domestic consumption: Disposable incomes in Vietnam are rising steadily and the middle class is emerging quickly. Domestic consumption has grown and will continue to grow in the future. Great value: Salaries in Vietnam remain affordable, delivering high quality products at relatively low costs. Improving integration: Vietnam is steadily implementing legal and business reforms. As a member of ASEAN and the WTO, the country is adding new FTAs and partnerships at a steady pace. Access to ASEAN: Vietnam is centrally located in South East Asia, home to a large and growing market of middle income consumers. Planning for the future: The country is investing heavily in technology, infrastructure and education. Foreigner friendly: Foreign brands and companies are seen positively in Vietnam. Leading investments by large multinationals: Significant investments by Samsung, Intel and LG has driven growth and confidence of others to follow. Vietnam is clearly on the rise. Three cities are of the most importance for foreigners looking for market entry opportunities in the booming technology and IT industries. Ho Chi Minh City aka Saigon is the largest city in Vietnam. Depending on who you ask, it’s home to anywhere from 8m to 13m to over 20m people. The city sprawls into several adjoining areas and the population density of the city is now the same as Tokyo! Ho Chi Minh is also the economic hub of Vietnam. Saigon High-tech Park (SHTP) is the largest of the three national high tech parks in Vietnam and includes 81 major projects, $10b of registered capital and over 40,000 jobs. The annual production value of SHTP is expected to surpass $20b by 2020. Saigon is also home to Quang Trung Software City and the Information Technology Park at the National University of Ho Chi Minh City. Hanoi is the capital and the second largest city in Vietnam at 8m people. Government is located in Hanoi and it serves as the centre of administration, although the People’s Committee of Hanoi has an explicit focus on development of the high technology sector. Hanoi is also very strong for scientific research. There is a large tech park located at Hoa Lac High-tech Park, home to 130 projects. Da Nang is the fourth largest city in Vietnam (behind the port city of Hai Phong) and is home to about 1.5m people. Da Nang is increasingly well connected to regional hubs like Hong Kong, Singapore, Seoul, Guangzhou, Bangkok and Taipei. Da Nang High-tech Park is growing rapidly and is currently the location of 7 major projects. Of course, entering the Vietnamese market is not as easy as in a developed economy. Consider McDonalds: the franchise struggled significantly after entering the market in Vietnam, despite prior successes in Japan and China. Burger King has also faced similar challenges. What are the specific opportunities in Vietnam? How aggressive and capable is the competition in Vietnam? What is Vietnam’s regulatory environment like? Can we find reliable partners and suppliers in Vietnam? How can we recruit the right people in Vietnam? How can we control and manage our business once we’ve entered Vietnam? It’s vital that foreigners understand the Vietnamese market and business environment, including the target industries, competitors, government policy, regulatory frameworks and compliance considerations. Understanding these factors will better enable a company to successfully plan for a market entry effort and manage the associated risks. The choice of market entry strategy is also vital. There are many options to proceed with market entry: some are more appropriate for certain projects and other common market entry strategies are rarely used in technology and software development. 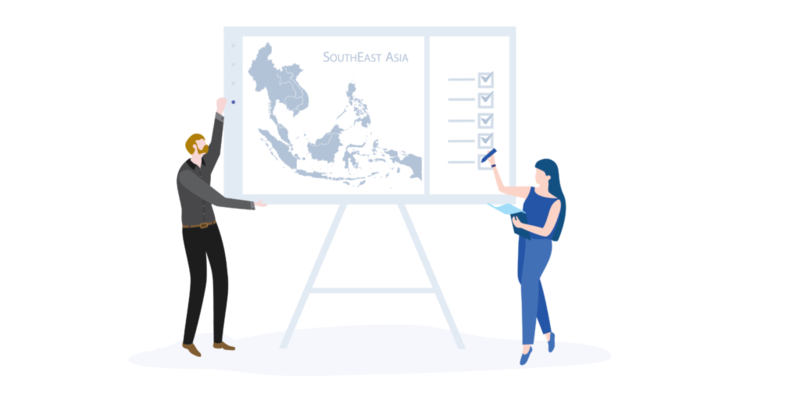 Some market entry strategies and tactics that have been effective in other emerging South East Asian economies may be entirely unsuitable in Vietnam. Different market entry strategies required different levels of capital contribution and foreign direct investment. Building your own new company in another country is generally the most capital-intensive option for market entry. The key benefit from this approach is that you retain full control over the operation. You might consider a joint venture or a partnership to take advantage of another party’s experience or existing assets. Given Vietnam’s restriction on foreign participation in some sectors of the economy, you may also be able to gain access to a specific market that was previously unreachable. Negotiation to reach agreement on the stake, direction and management on the partnership may take some time. Depending on your stake (majority or minority), you should also retain an element of control over the operations. Acquiring a local company is another option. Of course, acquisitions are complex and a range of integration issues will need to be overcome. However, acquisition may offer a quick path to scale. Due diligence and close oversight are critical. Outsourcing is relatively simple to commence. While the operational costs will be higher, this can be commenced rapidly. Be prepared to carefully manage issues of scope and delivery. Other market entry models such as licensing or franchising are relatively rare in relation to tech and software development. However, licensing may be appropriate in some cases, particularly where a strong existing tech product/service is looking to sell into the Vietnamese market. When it comes time to implement, several business structures are common when conducting market entry in Vietnam for technology or software development projects. Foreign Owned Enterprises are the most simple structure to consider and are sufficient for most foreign businesses in Vietnam. Foreign Owned Enterprises are the typical end-point for a greenfield development or a complete acquisition. They can be created as Limited Liability Companies (LLC) or Joint Stock Companies (JSC, capable of issuing and selling shares). LLCs are the most common structure as they have low capital requirements and liability. There are various forms of an LLC, including a single member and multi-member LLC (for more than one owner). Most Foreign Owner Enterprises can be established in 2 months. Depending on the nature of an acquisition, time for approval to sell a small local company to a foreign buyer is roughly similar. 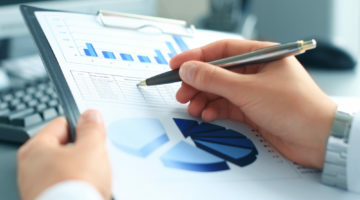 Foreign-Owned Enterprises are subject to higher costs for a range of administrative processes, for example change of address or the addition of new industry codes. They are also required to submit an audit each year. A mixed-ownership company is permitted and is the usual result of a joint venture or partnership approach to market entry in Vietnam. Mixed ownership may also arise when a company is buying a portion of an existing Vietnamese company. This type of ownership model offers the ability to include local shareholders or owners. It is a collaborative model, allowing access to the skills, attributes, networks or reputation of a partner. It may open up participation in a range of restricted industries, although the number of restricted industries continues to fall. The company structure remains a Joint Stock Company (JSC) or a Limited Liability Company (LLC). The time to establish a mixed ownership company is the same as above, typically 2 months. The time required for the processing of a sale or capital transfer is generally less, although depends on the specific case. Of course, a mixed ownership company will need to coordinate multiple shareholders/owners. This may result in delays or disagreement in relation to operations, expansion or the disbursements of profits. More information about company registration is available here. Acting as a representative for the foreign company. Note that Representative Offices can not sell products, provide services, receive funds from customers or execute contracts. The parent company remains fully liable for the activity of the Representative Offices. Furthermore, Representative Offices are onerous to setup in comparison to an LLC. They are rarely suitable for a software development or technology project. An appropriate market entry approach should consider the context presented by Vietnam and your own business objectives. Quickly reaching an informed position can save a company significant cost and wasted efforts. Several types of activity are very useful to inform your own Market Entry. Market analysis may be required for market size, growth potential, competitors, business models, customers or business practices. Also for regulatory challenges and the relevant authorities. You may need to adjust your service or business model as a result. Determin industry attractiveness and decide if the opportunity is realistic. For most tech companies, the key question is whether the right talent can be secured at an affordable price. The right partner can be the key to success. Business licenses, reputation, operations and financial situation can all be assessed with the right connections. Salary, social security, insurance and taxation and employee benefits in Vietnam have some complexity. If you’re employing foreigners, you will also need to consider work permits and immigration documents such as Temporary Resident Cards or visas. Identifying relevant accounting considerations and applying them to your business is key. Taxation and profit repatriation are very high on this list! Profits need to be repatriated through a variety of methods, usually after payment of all applicable taxes and meeting regulatory requirements. The appropriateness of each method might vary. Market entry initiatives generally proceed through 4 stages, although the specific approach for an company will often need to be flexible. What economic, social, legal and administrative considerations will we face? What is the potential business benefit (for operations) or addressable market (for products and services)? How strong is the competitive environment in Vietnam? How do the market leaders compete? What are your relative competitive advantages and disadvantages? How much do you need to refine your business model? A visit to Vietnam at this stage of the process can be highly beneficial, as can engagement with potential business partners or suppliers. You should have clear hypotheses that you are testing. Do you have sufficient resources to execute the approach? Your specific implementation activities will really depend on your chosen approach to market entry and the selected structure for your business model. It is almost certain that you will need a legal structure (either a company or a contract) and that will shape your need for business plans, financial arrangements, bank accounts, labour contracts, office rental, submissions to government and internal company policy to guide operations. Throughout these four stages it’s vital to balance financial and non-financial considerations that will emerge from a long list of questions that will arise at each stage of the process. Foreigners entrepreneurs seeking to enter the Vietnamese market typically want to test their idea or business model against local conditions and constraints. They’re seeking insight to arrive at clarity for the decisions they need to make. Interdisciplinary teams are an asset in this regard. Business, administrative, legal, human resource, accounting and technical perspectives all add value to the considerations, ensuring that you receive the commercial guidance you’re seeking. Metasource can bring you the practical perspective that you need. We’ve got the right mix of skills to provide you with the right advice and we’re specialists in technology and software development projects in Vietnam. Get specific information on your market, regulation and competition. Find partners, get pre-entry feedback and fine-tune your approach. Get help to launch your operation and build your team in Vietnam. The Metasource team has been assisting businesses in Vietnam since 2013. We’re practical and business-focused, with the solutions you’ll need to start your operations here in Vietnam.